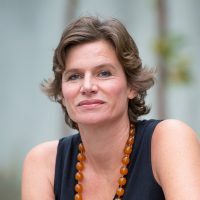 She is winner of the 2014 New Statesman SPERI Prize in Political Economy, the 2015 Hans-Matthöfer-Preis, and the 2018 Leontief Prize for Advancing the Frontiers of Economic Thought. She was named as one of the ‘3 most important thinkers about innovation’ by the New Republic. Her highly-acclaimed book The Entrepreneurial State: debunking public vs. private sector myths was on the 2013 Books of the Year list of the Financial Times. Her new book The Value of Everything: making and taking in the global economy has just been released.